The Detroit Lions took the defensive tackle in the 2009 NFL draft in the 4th round (#115) and he was expected to take a long term spot in their defensive tackle rotation. 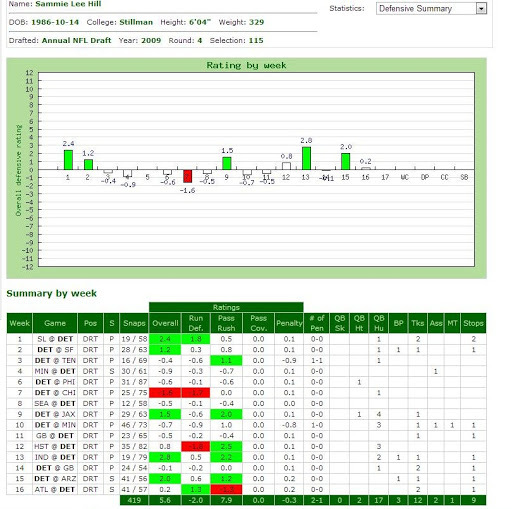 Coming out, everyone knew he was a raw player who would need to be developed but he did contribute immediately playing 45 out of 75 snaps in his first game in the NFL against the New Orleans Saints. 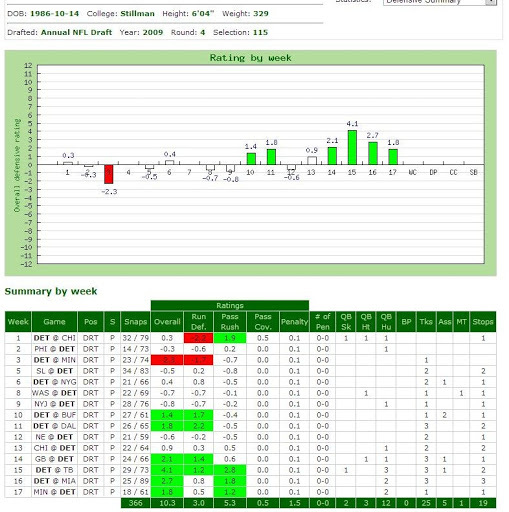 He would play 13 games, 562 defensive snaps (62.4%) and produce 3 QB hits, 8 QB hurries, 19 tackles and 14 stops his first year. The Lions finished 2 – 14 and Lions defense was pretty terrible. Hill’s 2009 campaign was pretty much what you would expect from a raw player coming from a small school who needed to be coached. 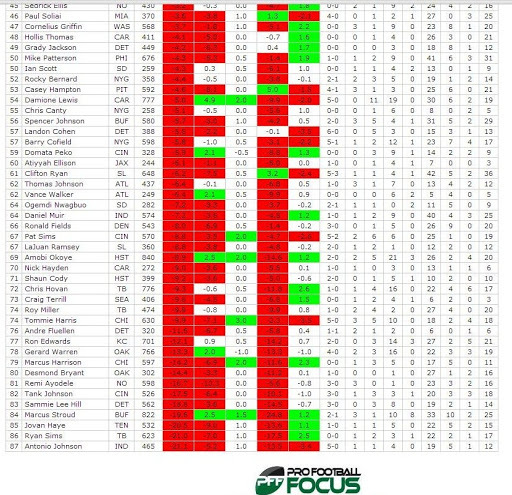 He finished 83 out of 87 of all ranked DT/NT’s according to PFF. 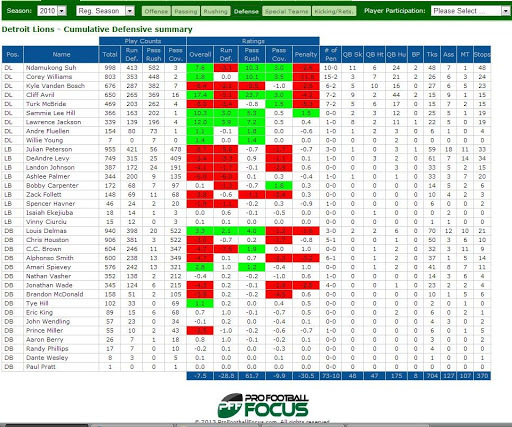 (Side note: Titans DT Jovan Haye finished 85 that year). 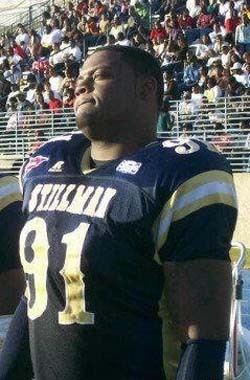 In 2010 the Lions drafted Ndamukong Suh #2 overall and added Corey Williams to the defensive line. 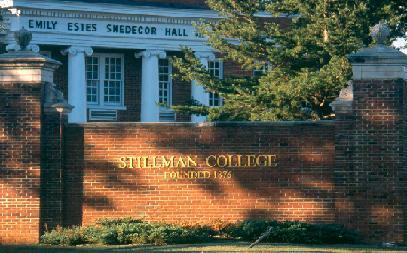 Hill lost snaps to the newcomers and also to incumbent Turk McBride. 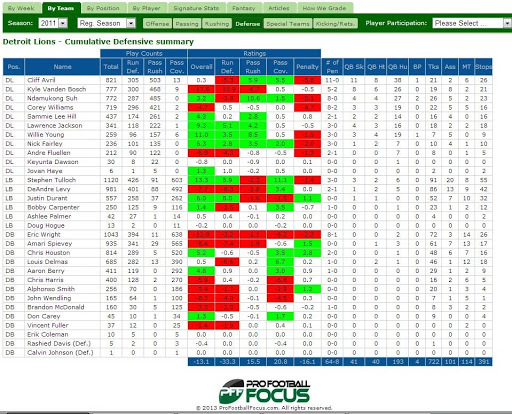 He played in 15 games with 366 snaps (34.6%), and logged 2 QB sacks, 3 QB hits, 12 QB hurries, and 25 tackles. 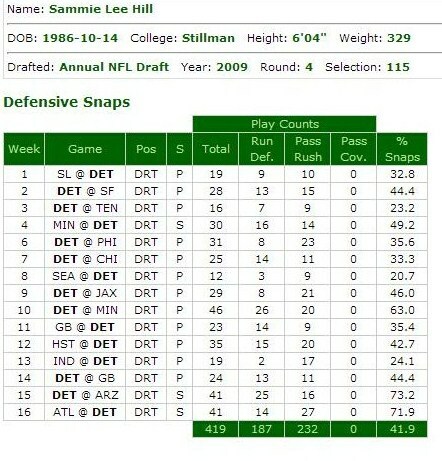 Statistically this was one of his best seasons. 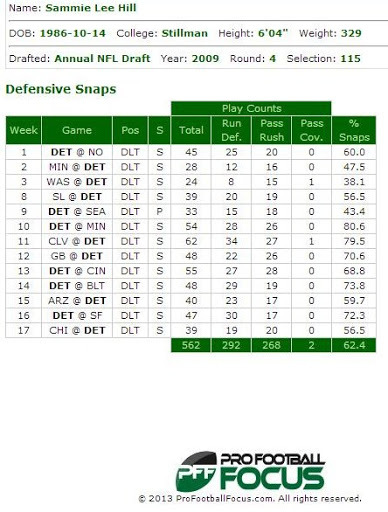 The Lions finished 6 and 10 and the defense was much improved. 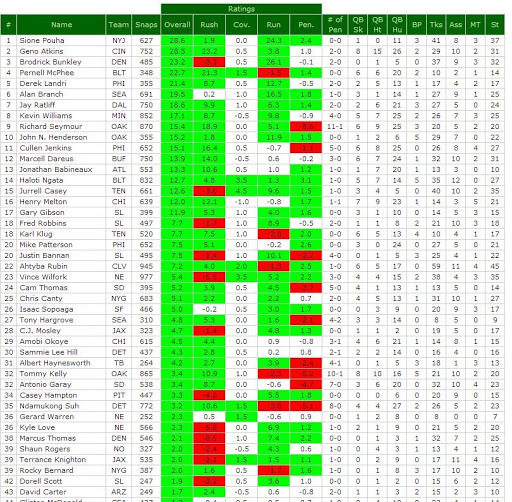 Hill himself finished the season ranked 19 out of 77 (note PFF ranks NT’s and DT’s together). 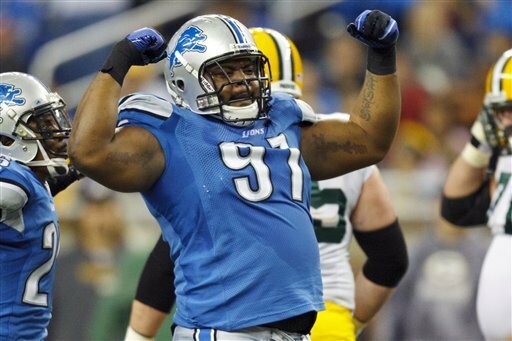 In 2011, the Lions once again used a high draft pick on a defensive lineman, drafting defensive tackle Nick Fairley in the 1st round at pick # 13. 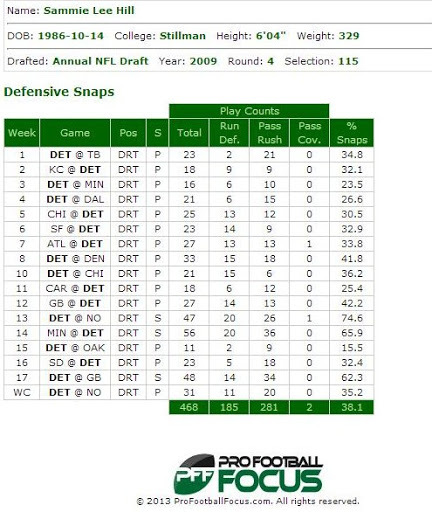 The 2011 Lions finished 10 and 6 and the defense was middle of the pack. 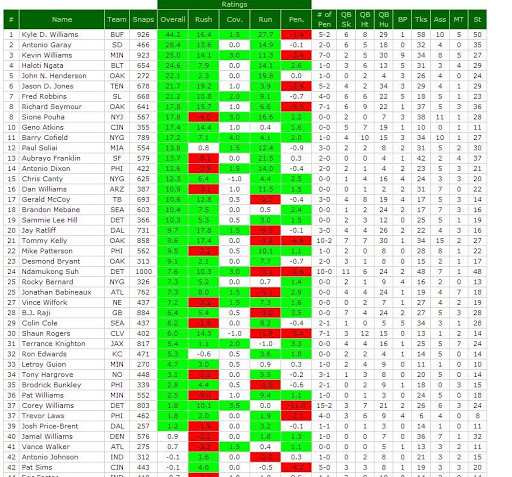 Hill had a good season although not as good as 2010, playing in 16 games, with 437 snaps (38.1%), 2 QB sacks, 2 QB hits, 14 QB hurries, and 18 tackles. He finished the season ranked 30 out of 88 ranked DT/NT’s. In 2012, the Lions finished a disappointing 4 and 12 and were facing serious challenges in coming under the NFL salary cap. Several players were allowed to leave following the conclusion of the season including reserve DT Hill. The Lions were 27th in points allowed at 437 finishing very close to the Titans in that statistical category (finished 32 in points allowed at 471). 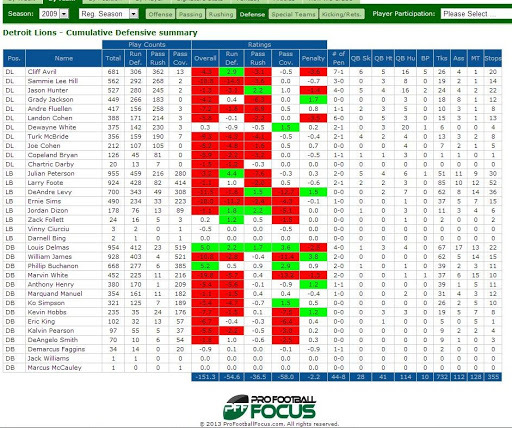 Hill played 15 games, 419 defensive snaps (41.9%), and logged 0 QB sacks, 2 QB hits, 17 QB hurries, 3 batted passes, and 12 tackles. Hill finished the season ranked 24 out of 85 ranked DT/NT’s. 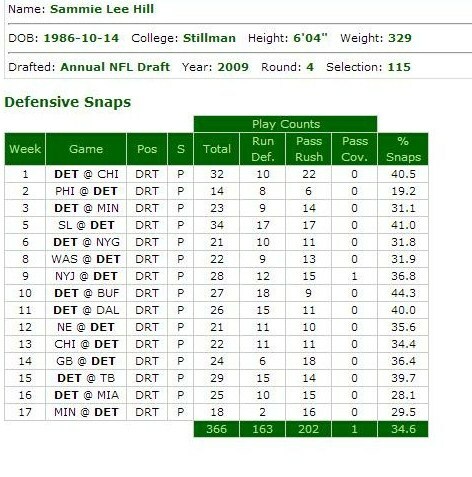 One thing to note is that the Lions switched Hill from LDT to RDT after his rookie season, and it appears he has remained at that spot since. Presumably, he will take Sen’Derrick place on the defensive line. 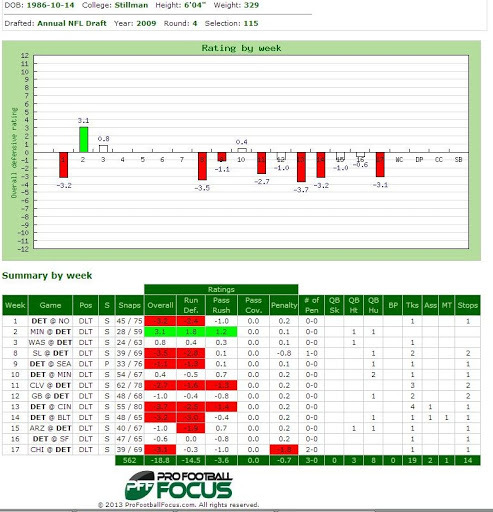 It should be noted that Marks also played LDT at times and I do wonder if Hill will see the same type switch the Titans employed with Marks and Jurrell Casey. 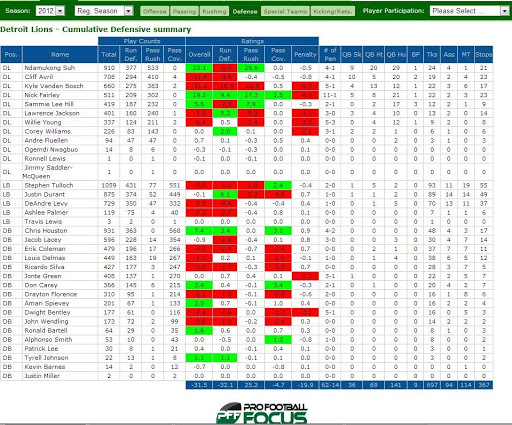 Another note: in his rookie year Hill’s snaps were split pretty evenly between pass and run plays at 262/292 but that changed in 2010 where the Lions utilized him mostly on plays where they expected a pass play. In 2010 it was split 202/163, in 2011 it was split 281/185 and 2012 it was split 232/187. 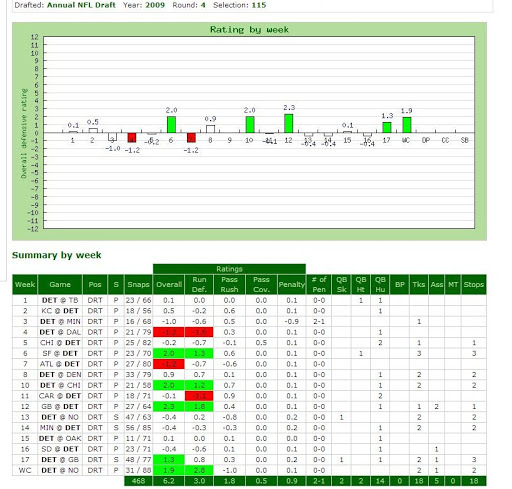 The 2012 increase in numbers appears likely due to injuries to starter Nick Fairley as Hill’s snap count greatly increased the two games where Fairley was out of the lineup. There you have it your new Tennessee Titans defensive tackle. Initially, I wasn’t a big fan of this signing but he seems like a likeable guy who will be easy to root for so I am hoping this turns out well. 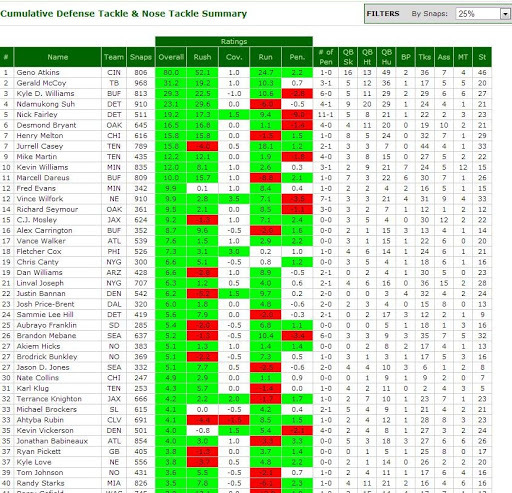 The issue I see is that the Titans really needed a defensive tackle who could help against the run but perhaps teaming him with Casey will make that issue moot. In any event, he certainly adds bulk and athleticism to the rotation.